My latest Blynk project is a weight based smart grinder with the following features. ESP8266 + HX711 and a strain sensor (I have used a cheap 500g “fleebay” digital scale). The sketch contains calibration data for the strain sensor and a way to calibrate for possible overrun of the grinder (adjust turnoff offset if grinder overrun to make final weight to correspond to preset). I run this on a personal server. Preset with “Slider widget” in grams. 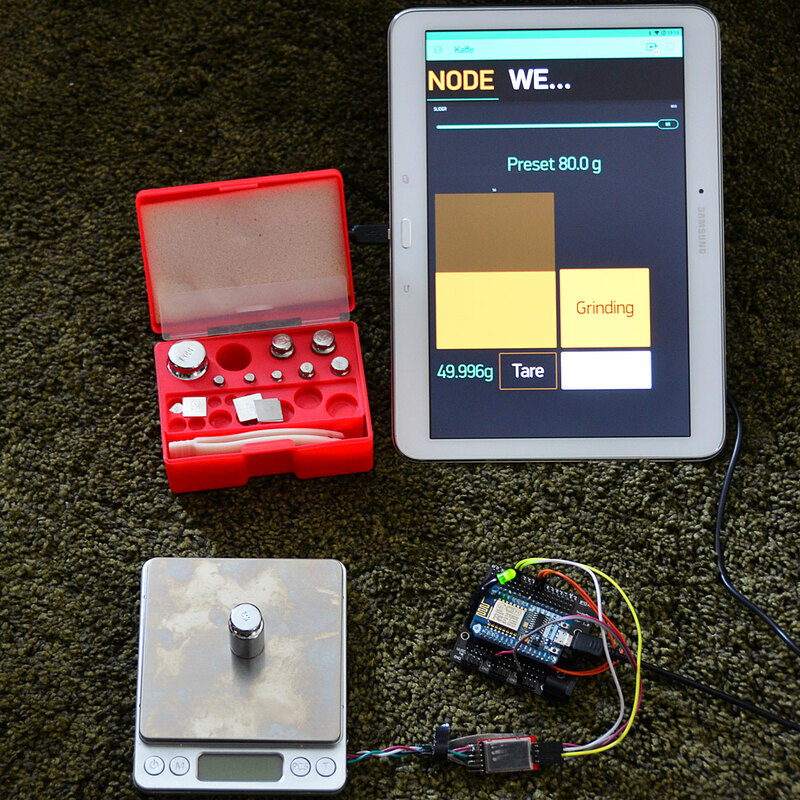 Readout off preset and live weight “Labeled value”+ “Level V” to animate grinding progress. Tare function to zero the scale “Styled button Virtual pin”. Grind button “Styled button Virtual pin”. Off button for emergency/regret situations “Styled button Virtual pin”. Stepper motor to change grain size, steps or step less with saveable presets (Slider widget again maybe vertical this time. App settings for the over grind adjustment (On separate “Settings tab”). Maybe physical buttons and Oled display. Blynk.begin(auth, ssid, pass, "192.168.254.110", 8080); // Change to your IP and Port. 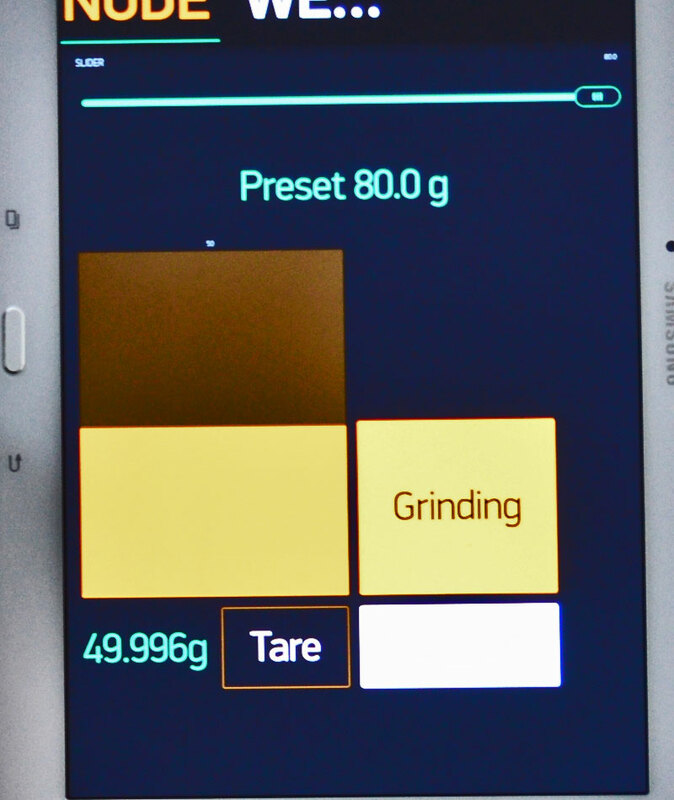 digitalWrite(relayPin, LOW); //Relay OFF (slider-10) to compensate if grinder overshoot "Grinder calibration". Using a green led on relay pin for testing. 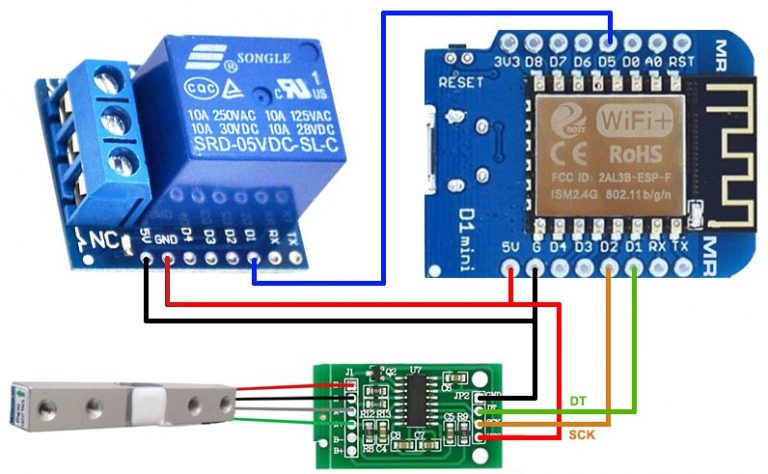 In real world project I will use a 5A WeMos D1 mini relay module or simmular. You should remove or hide your Blynk project id. so not really an issue unless he publishes a way to access his public IP. It still makes me look twice when I see an auth code shared like that though! What about the rest of the code, is it fairly structured and correct? Looks fine. It is a bit flat looking and harder to read without indentations. I am a big fan of using files to organize the projects. It allows easy reuse of code. Tnx will try to cleanup and edit my post. I don’t like to spam this forum is it ok to post a link to my own website and The full coffee grinder project ? is it ok to post a link to my own website and The full coffee grinder project ? One thing I noticed when looking at your website. In the image below, you have a slight typo. On the relay you crossed the 5V and GND wires. Also, the white text of the code makes it impossible to see against the white background. Other then that, it looks great. I like what you’re doing here, and I guess it could have other uses as well if you need to dispense a certain amount of something (could also be liquid). I tried to look at your gallery, but it’s not displaying very well on Chrome. I did manage to get into some of the albums, which did display okay once I was in - nice! Tnx for highlighting the x-wiring, it is now sorted out. Pete you are above my level on photography for sure. Thank you for highlighting the Gallery issue. Now it works My photo gallery if anyone cares.